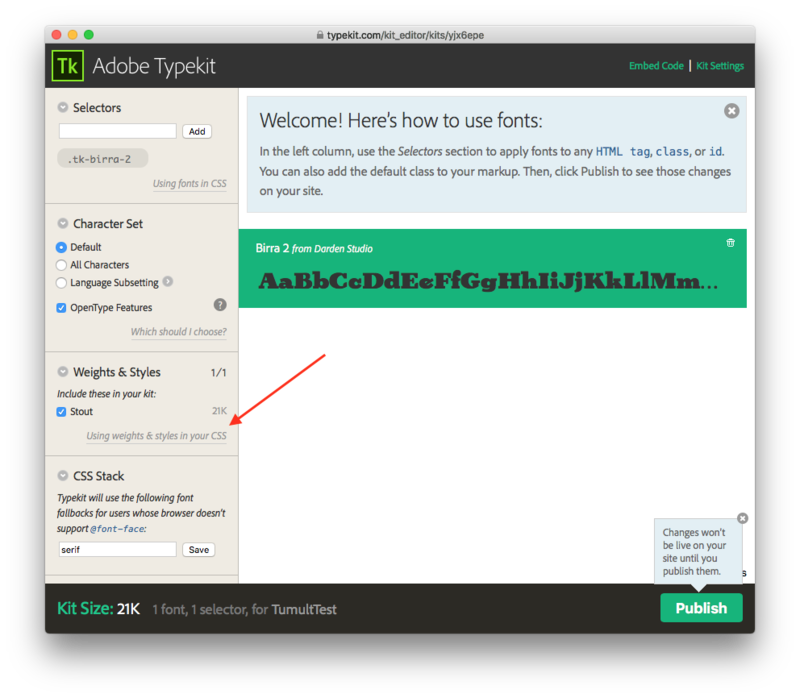 A great place to start if you’re curious about how Hype works with fonts is the Typography chapter of our documentation. 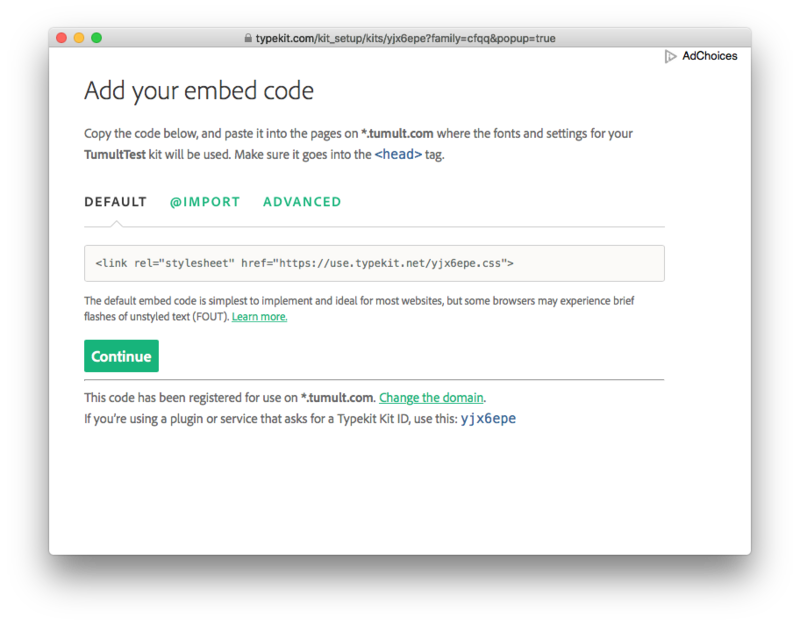 Tumult Hype includes support for easily adding any font offered by Google Fonts to your document. 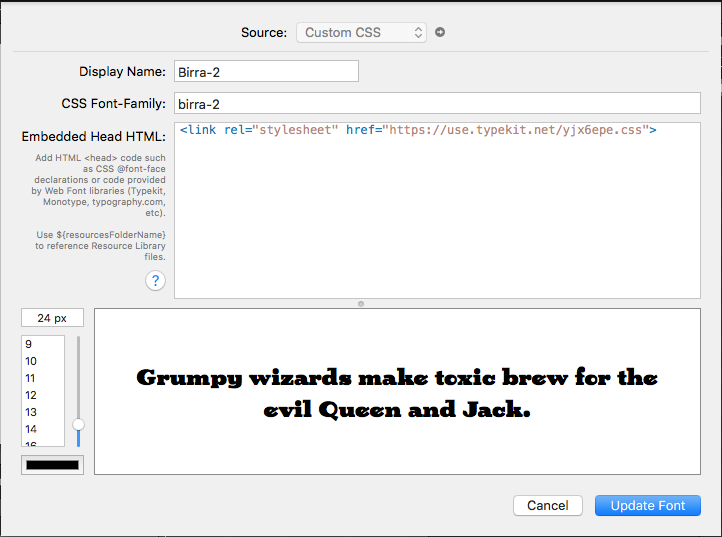 You can also quickly add custom web fonts you define in the Add Fonts… button in the document inspector. 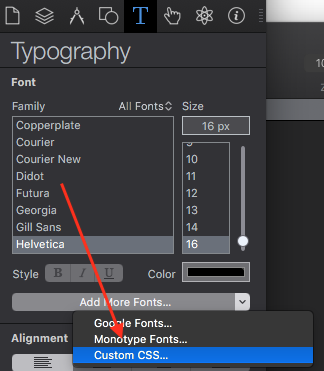 Want to download Google Fonts and use them as custom fonts? Use this awesome tool. For an introduction to some concepts in web typography, read this post. Add that line to the <head> of your document. This will confirm for you that your Font-family is correct. You can now remove the line in the ‘Embedded Head HTML’ since you already added this. Including it in this font definition will include that CSS twice. For more icons and icon-based fonts, please see this page.